When an American space capsule is swallowed up by what they believe to be a Russian spaceship, World War 3 nearly breaks out. The British Government, however, suspect that other powers are at work as the space craft went down near Japan. S.P.E.C.T.R.E. is the force behind the theft, as James Bond discovers, but its motives are far from clear, and he must first find out where the captured space capsule is held before America and Russia initiate another world war. The primary reason for converting the Toyota 2000GT coupes into convertibles was Sean Connery's height; he was simply too tall to fit into the GT which was notoriously too small for anyone over 5'8". Connery's height was 6'2". Film Editing by Ernest Hosler (supervisor editor). 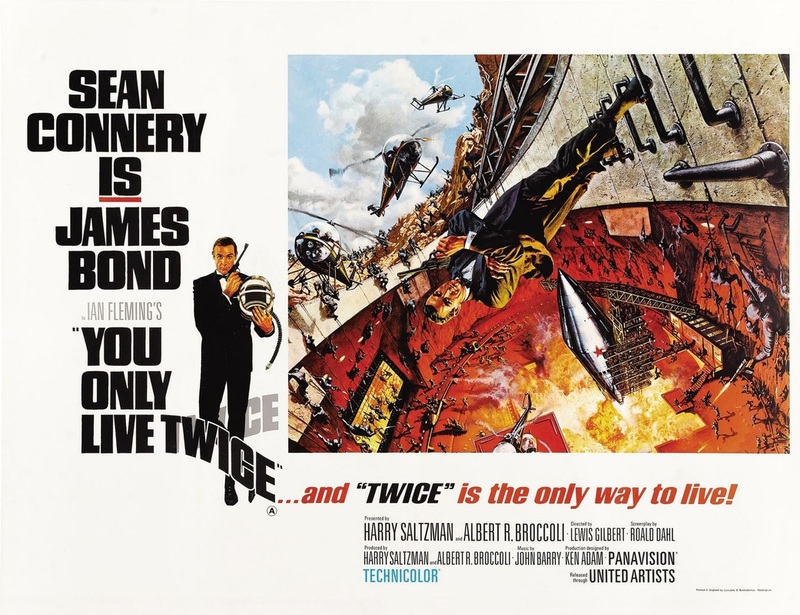 Title Song by Nancy Sinatra "You Only Live Twice"
"I will look forward personally to exterminating you, Mr Bond"